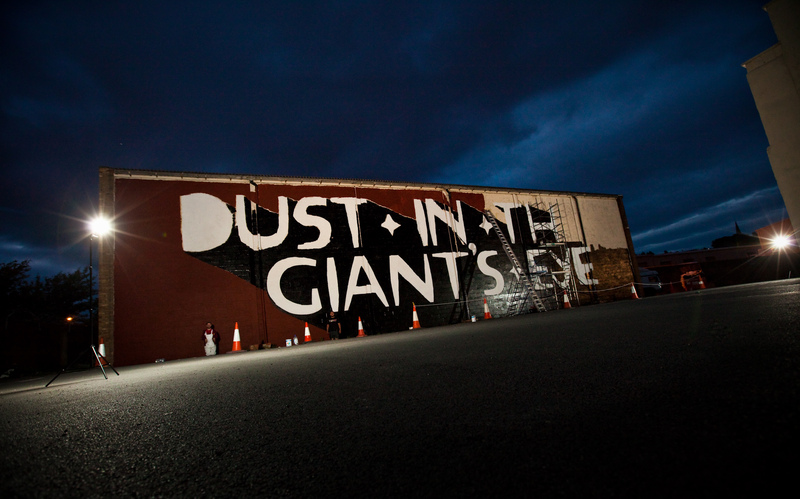 Very big things have been happening (quite literally) on street art scene in Newcastle this week with the arrival of Kid Acne and a lot of paint. 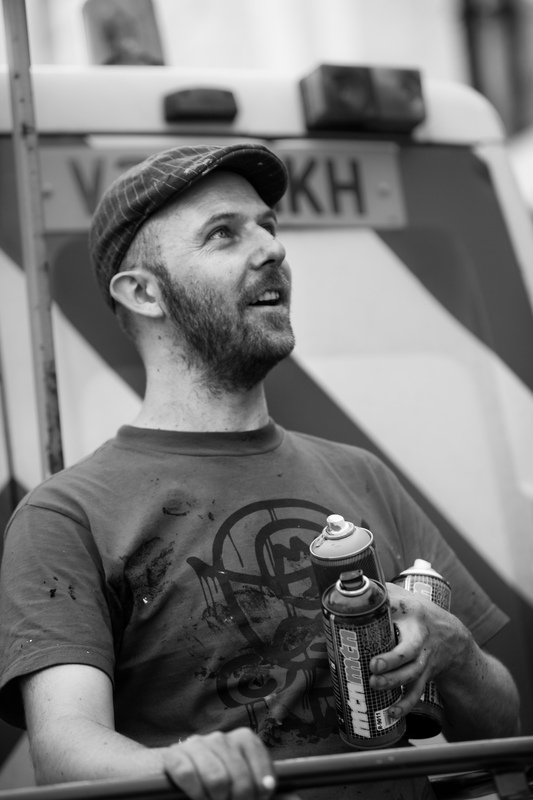 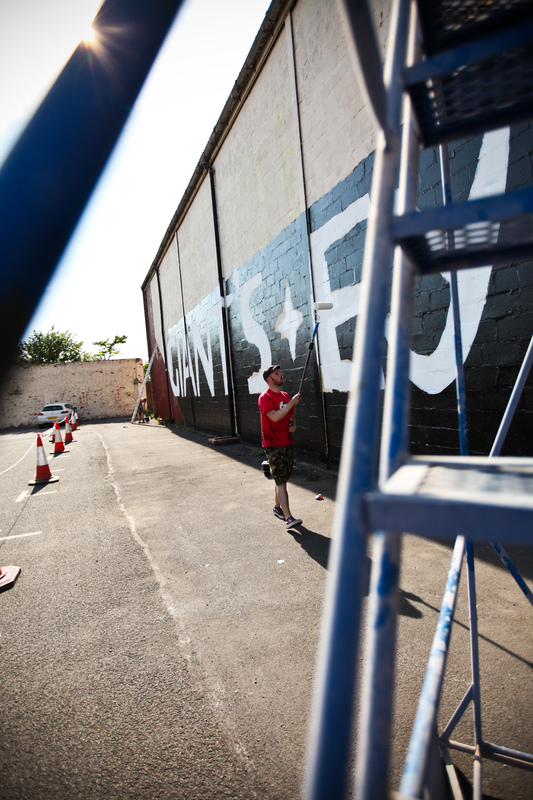 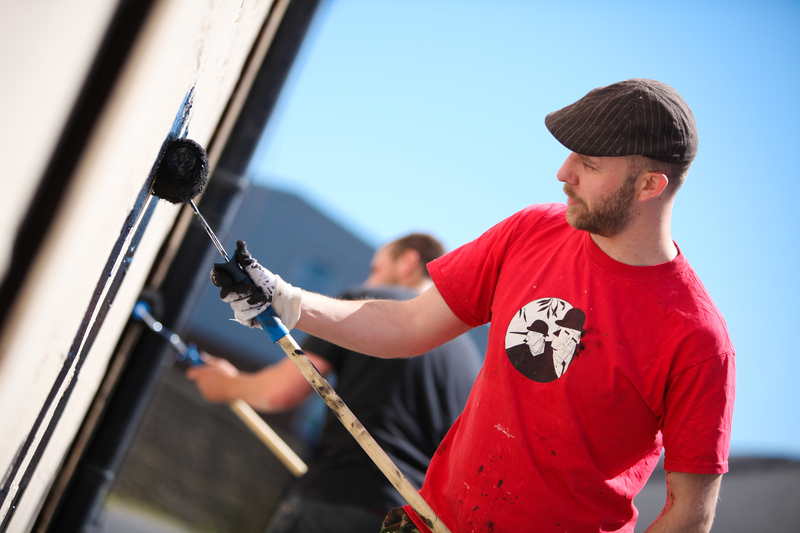 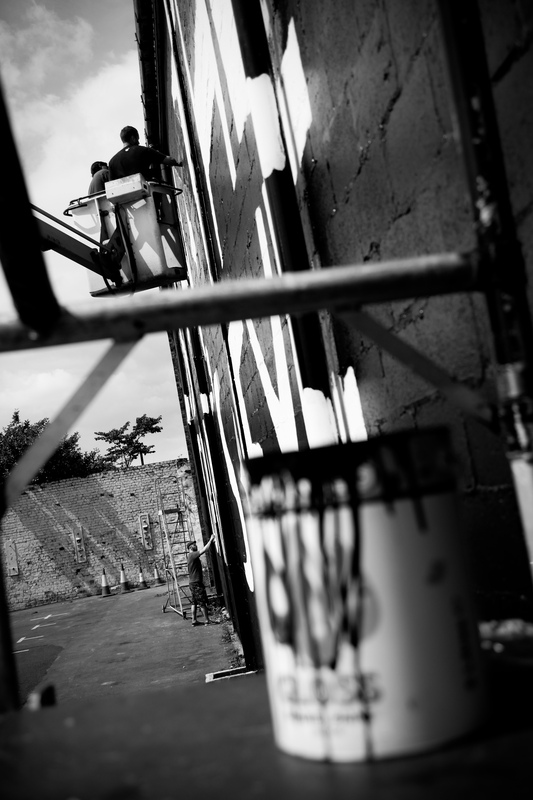 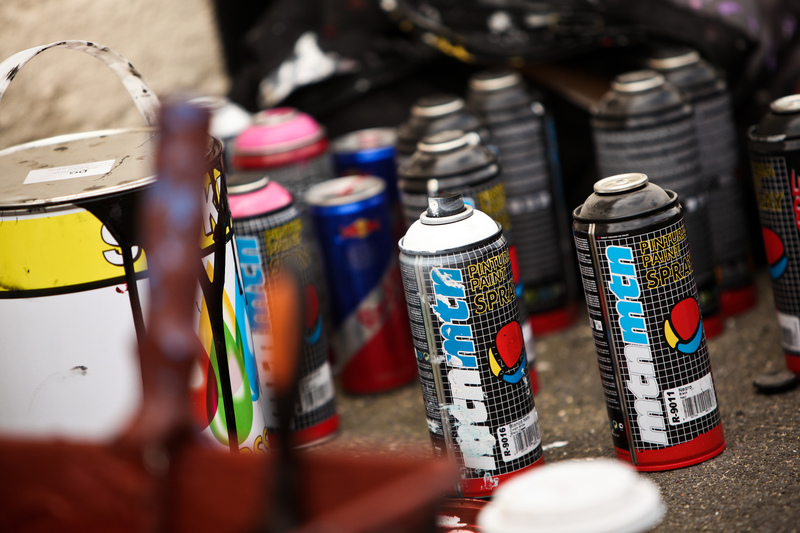 The Sheffield based artist was the first of several ‘big names’ to come and throw some paint about as a part of the Hoults Yard Project this week. 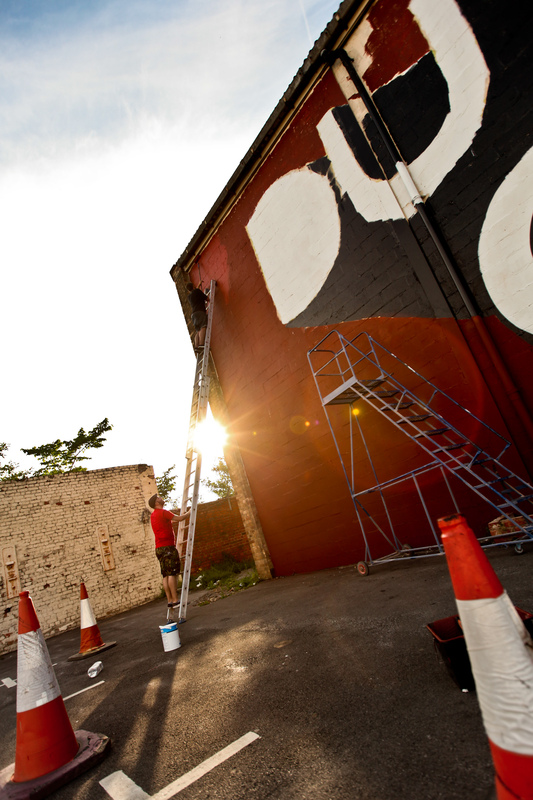 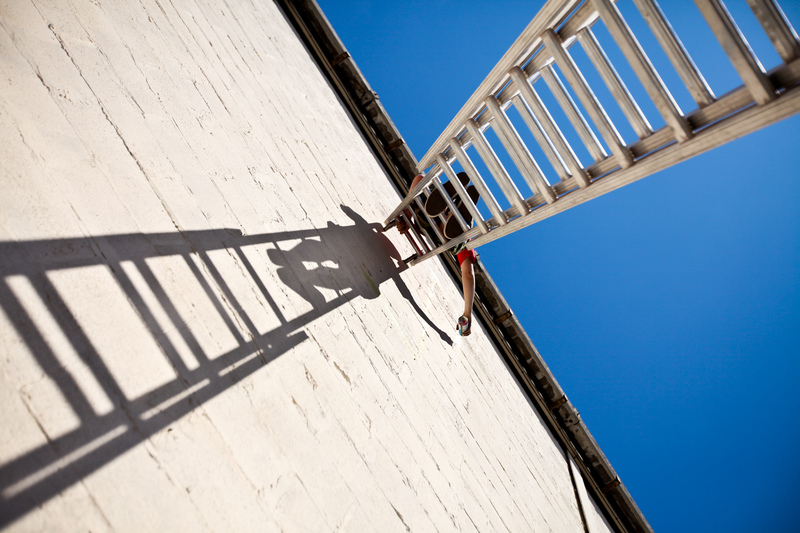 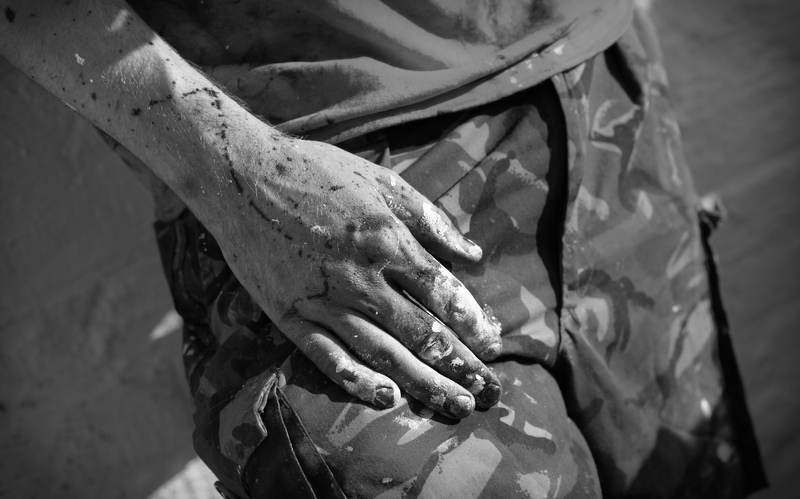 For 3 long sunny days I took photos, climbed ladders, helped to paint the wall – and myself and all my kit with very sticky gloss paint, and wished for cups of tea when “there’s only water!”.